Margaret Hamilton, leader of the team that developed the flight software for the agency's Apollo missions, has been granted a NASA Exceptional Space Act Award for her scientific and technical contributions. "The Apollo flight software Ms. Hamilton and her team developed was truly a pioneering effort," said NASA Administrator Sean O'Keefe. "The concepts she and her team created became the building blocks for modern 'software engineering.' It's an honor to recognize Ms. Hamilton for her extraordinary contributions to NASA," he said. Dr. Paul Curto, senior technologist for NASA's Inventions and Contributions Board nominated Hamilton for the award. Curto said, "I was surprised to discover she was never formally recognized for her groundbreaking work. 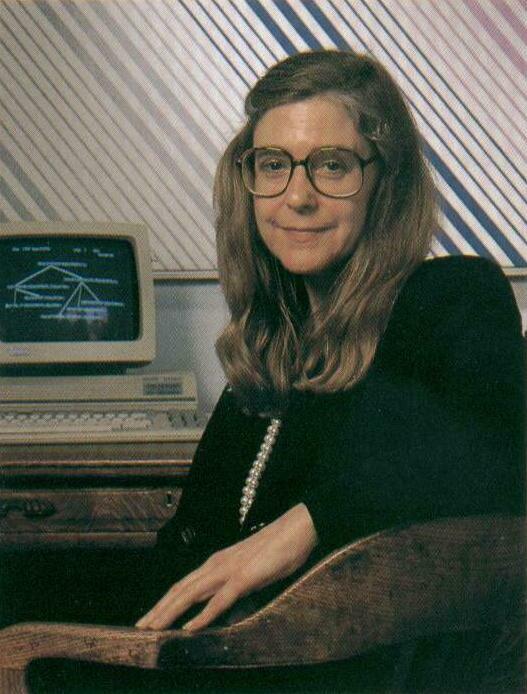 Her concepts of asynchronous software, priority scheduling, end-to-end testing, and man-in-the-loop decision capability, such as priority displays, became the foundation for ultra-reliable software design." One example of the value of Hamilton's software work occurred during the Apollo 11 mission. Approximately three minutes before Eagle's touchdown on the moon, the software over rode a command to switch the flight computer's priority processing to a radar system whose 'on' switch had been manually activated due to a faulty written operations script provided to the crew. The action by the software permitted the mission to safely continue.